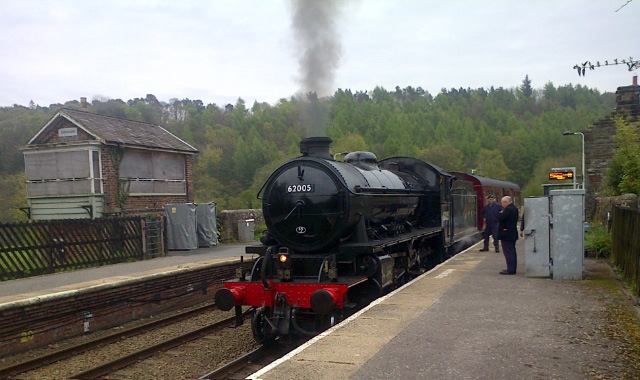 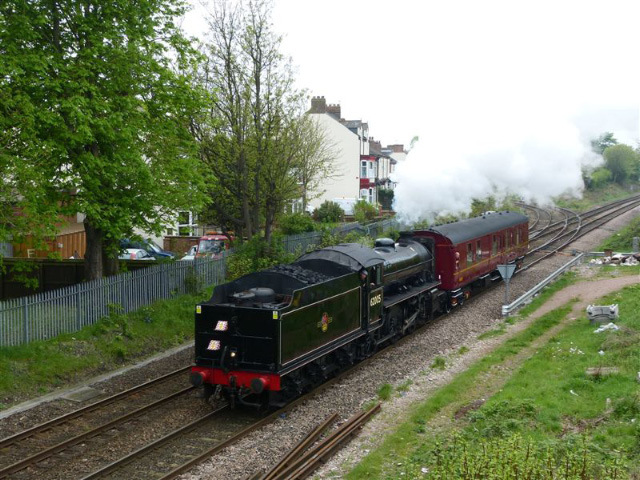 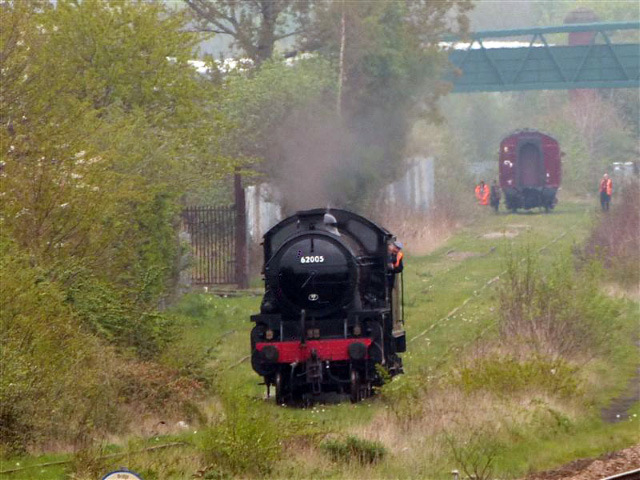 Today the K1 made its way from Grosmont to Joppa Sidings, Portobello. 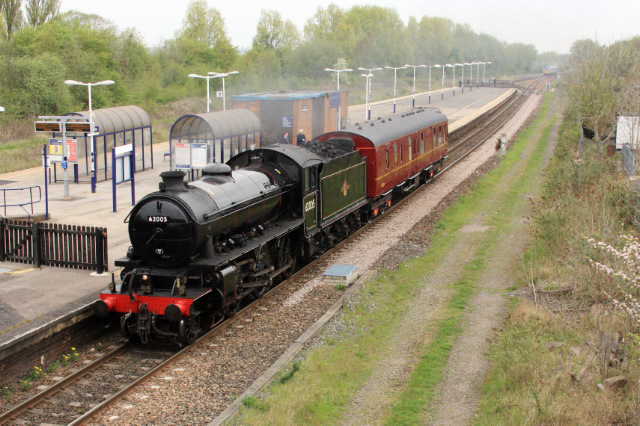 According to realtimetrains.co.uk the train arrived3 minutes early at 19:44 today. 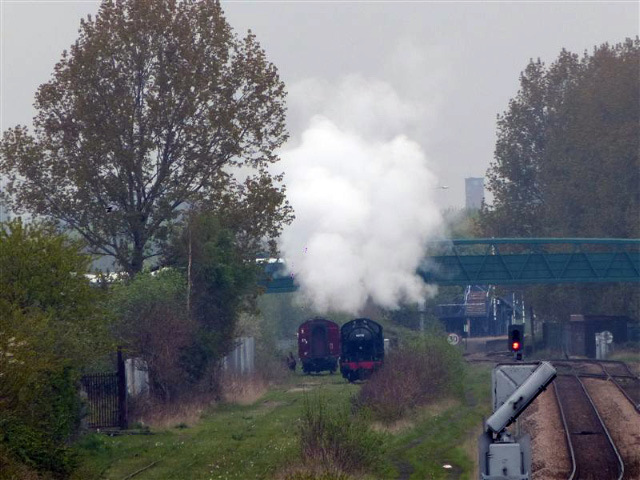 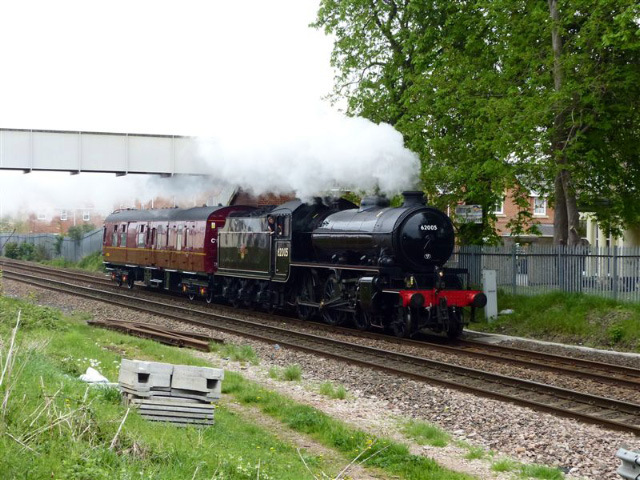 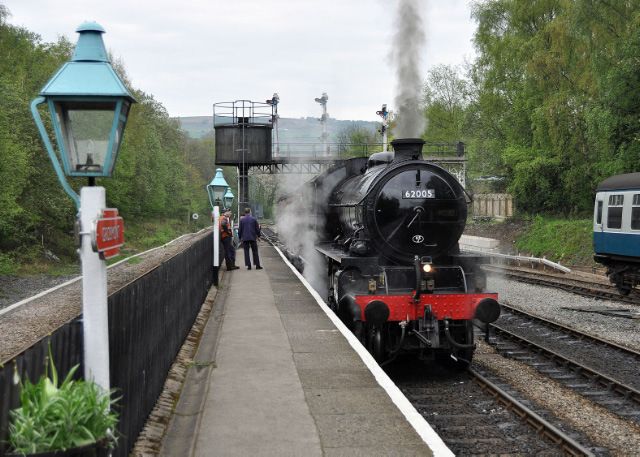 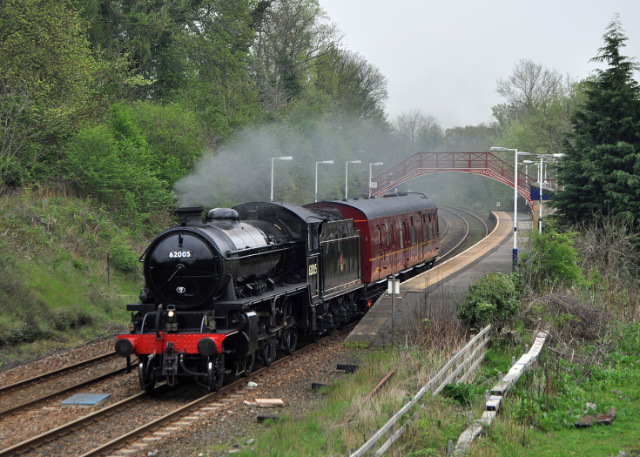 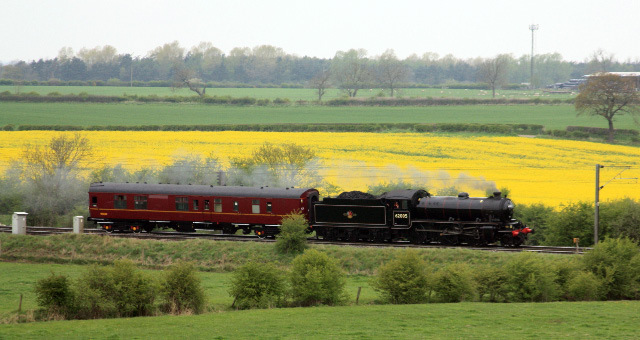 The K1 travelled north to participate in the Railway Touring Company’s Great Britain VII tour. 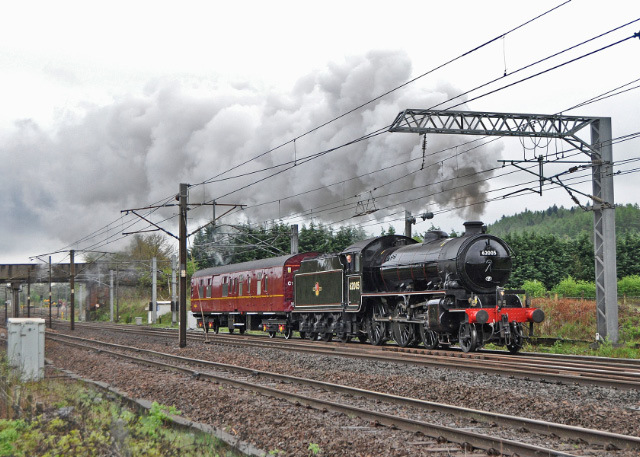 On arrival at Edinburgh, the tour train splits, with half going to Aberdeen behind 60009 Union of South Africa, and the other half going to Fort William behind the K1. 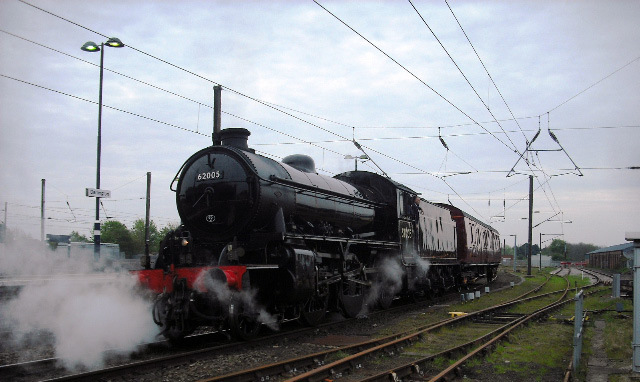 Therefore, on Thursday 1st May 62005 is due to haul 6 coaches from Edinburgh Waverley, via the E&G to Cowlairs, then up the West Highland line to Fort William. 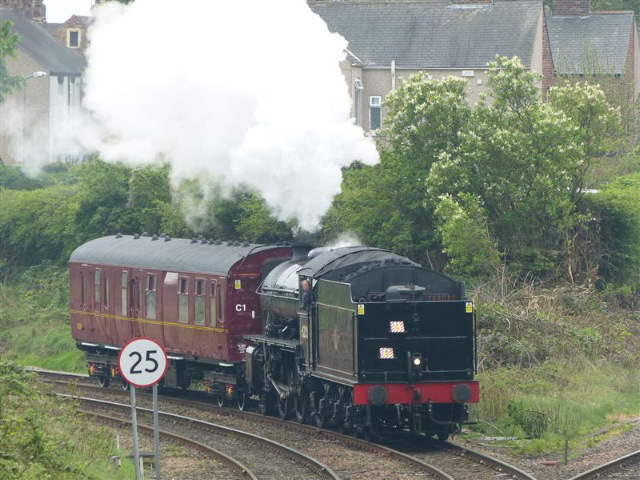 The following day it will run to Mallaig and back, then on Saturday 3rd May return from Fort William to Edinburgh. 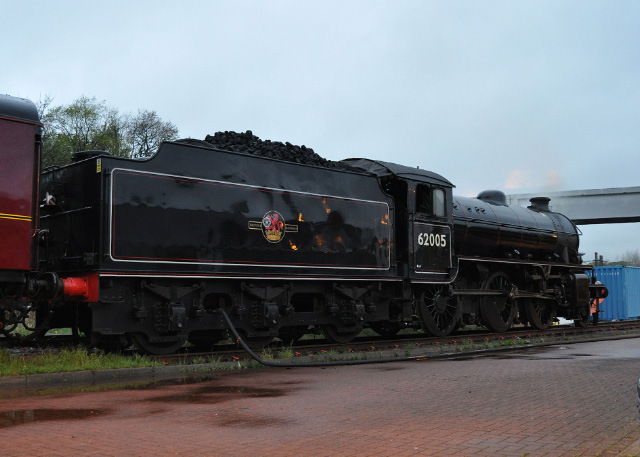 The tour train will then be remarshalled and the final day sees the train return to London behind 60009 to York and 60007 Sir Nigel Gresley from York to Kings Cross. 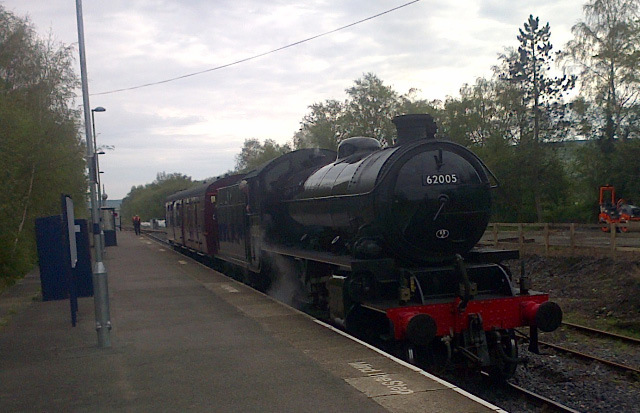 Meanwhile, on the same day, the K1 and its support coach return to Fort William in readiness for the Jacobite season.